One building block is placed on top of another one, an atom of sodium combines with an atom of chlorine. Do new things result in each case? Or, to put it more generally, under what conditions do various parts form a material object, i.e. a substance? 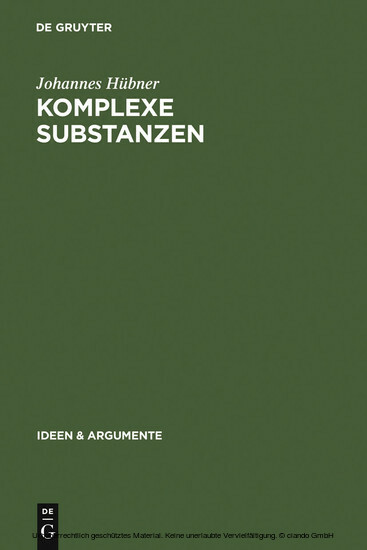 Hübner addresses the problem by developing separate analyses for the composition of masses, bodies, artefacts and living organisms.